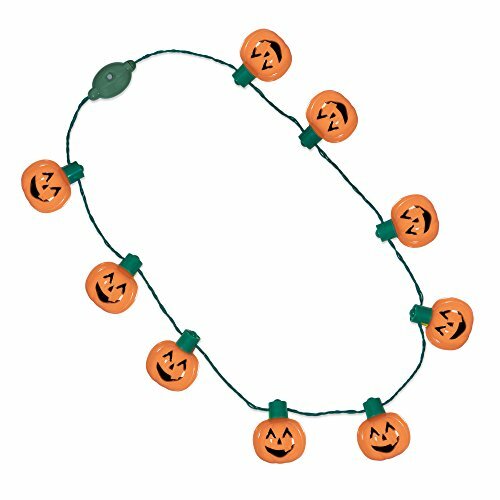 This 35″ spooky strand boasts nine (9) oversized plastic smiling jack-o-lantern faces for men, women & kiddos. GET LIT & Be Visible | Wear at the same time as trick or treating for max visibility. Powered by 2 CR2032 batteries, the super bright LED’s inside every pumpkin flash, blink and morph in 6 distinct light patterns with the rush of a button. Youth Size Light up Skeleton Gloves. Batteries included. Lasts over 24 hours on a new set of batteries. Light controller takes 2 CR2016 batteries and has 4 settings: Full On, Pattern Blink, Regular Blink, Off. The gloves feature an inner battery pack pocket which is concealed while wearing. Firefighter Costume With Jacket, Pants and Hat. Light up Badge on chest of the costume, Batteries included. It is battery operated and glows / lights up when the button on the top of battery is turned on.